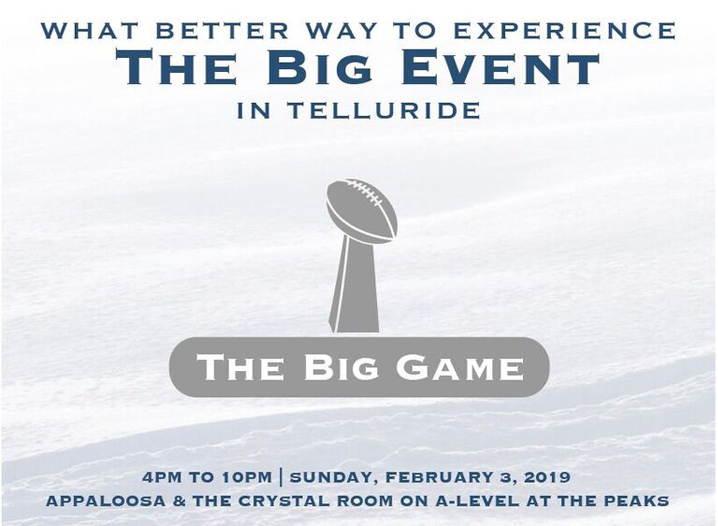 The Peaks Resort & Spa presents two great event spaces joined together for the Super Bowl. The event will blend the natural appeal of the Crystal Room where surrounding glass windows offer magnificent views, and, Appaloosa with its charming western motif and classic Colorado feel. The Big Game buffet is football-inspired with a nacho bar, pulled pork sliders, Coney Island hot dog bar, fresh veggie display and assorted mini desserts. The event is $25 per person and includes one drink ticket; the bar is on a cash-only basis after drink ticket is redeemed.